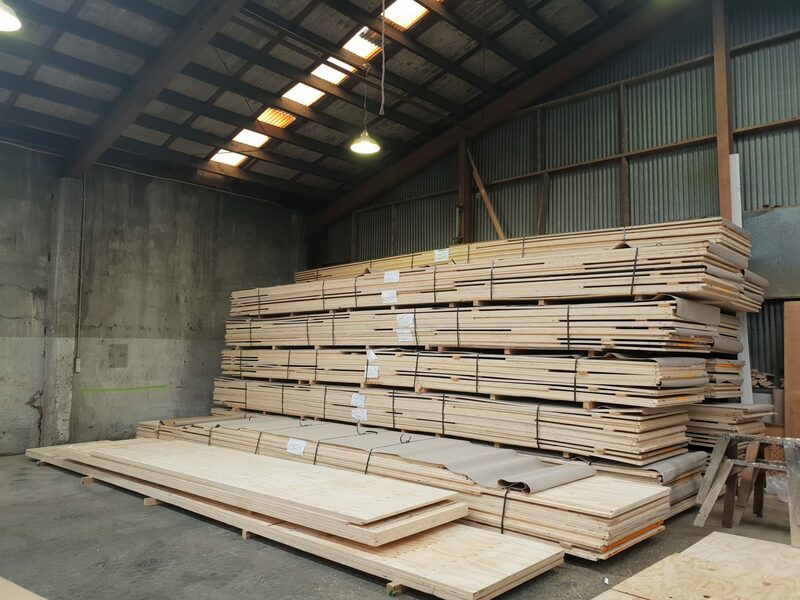 A whole lot of board turned up for stage 2 of a highly anticipated commercial project in Nelson. 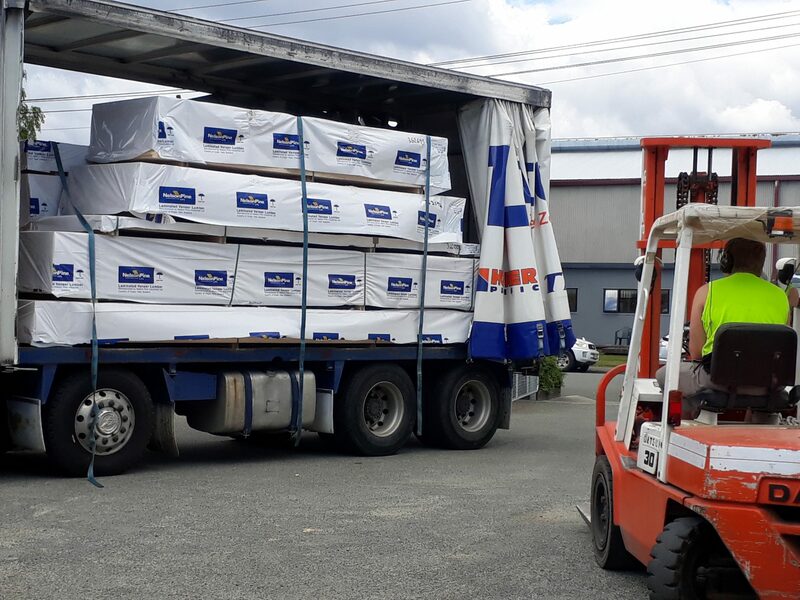 These sheets measured up to 8 meters long and there was a total of 290 sheets. It ended up taking over the Cooper Webley car park, and required a little help to sort and stack ready to turn into Hush Panels. 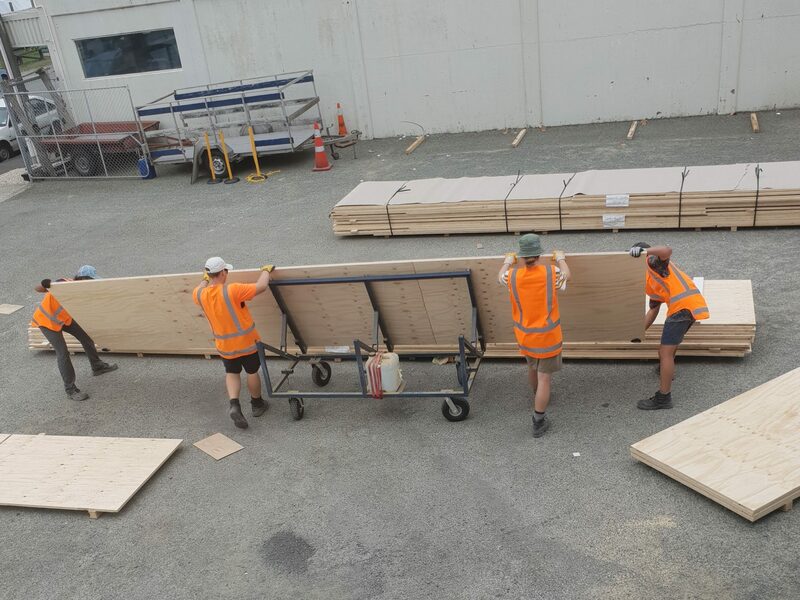 A team of 6 took 2 days to organise the sheets to store in our warehouse. And what a good job they did. See for yourself with our time lapse videos.